Watton, Norfolk on the Thetford to Swaffham Line. 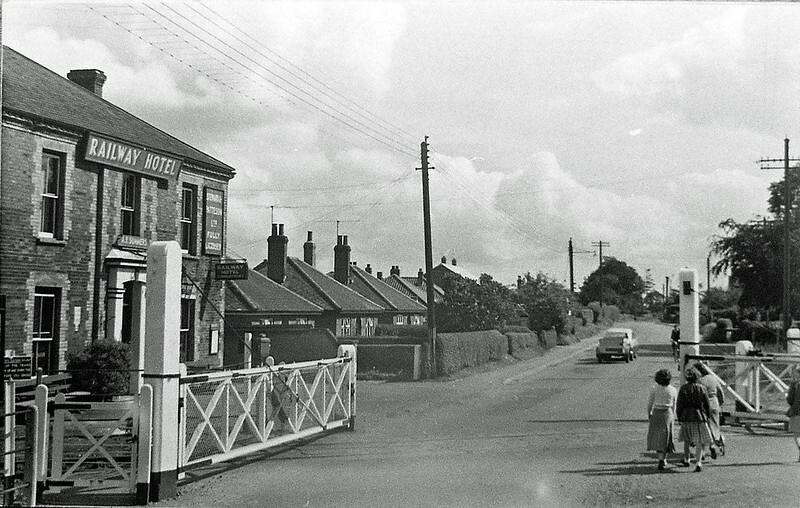 Crossing gates across Norwich Road c 1950. The Railway Hotel building still exists today.